We got some hints earlier that the second Android 7.1.1 developer preview was on the verge of rolling out today, and sure enough, here it is. System images are live for manual installation (build NPF26F and NPF26H). There won't be any OTAs at this time, though. Just like last time, the list of supported devices is small—smaller than we were expecting, in fact. Previously, Google's timeline page for the dev preview stated that the Nexus 6 and Nexus Player would join the beta for this second preview. However, they've been removed from the list. 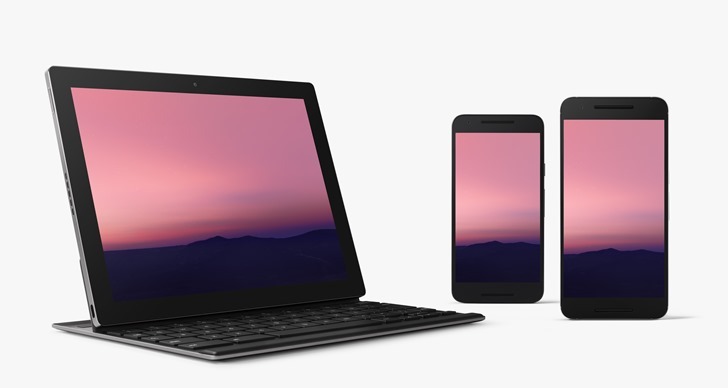 The Nexus 9 is still listed as part of the second dev preview, but no system image is showing up. Whatever the reason for the change, all three devices are still slated to get the final build. The only devices with images right now are the Nexus 6P, Nexus 5X, and Pixel C—same as last time. This is the last developer preview of 7.1.1 Google is expecting to do (and it's CTS-enabled on supported devices). The final build of 7.1.1 should be rolled out next month to the Nexus 6, Nexus 5X, Nexus 6P, Nexus Player, Nexus 9, Pixel C, General Mobile 4G (Android One), Pixel, and Pixel XL. Images for the LTE and WiFi Nexus 9 have been added.